Fooducate Blog recently released a great iPhone app that you can read all about on their website. So while you’re doing all your Thanksgiving grocery shopping over the next few days be sure to use it to ensure you’re making informed choices. This app scans bar codes, rates each product, provides pertinent nutrition info, and offers up better, healthier alternatives. Best of all…it’s free! Entry filed under: Products. 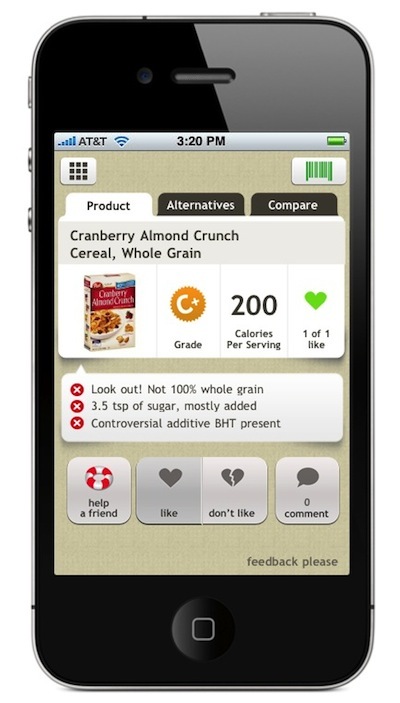 Tags: Fooducate, iPhone App.